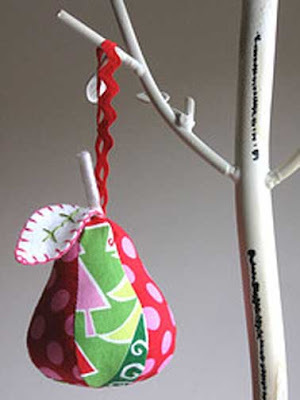 Couldn't resist these Pears from Kim at Retro Mama made out of our Christmas prints. 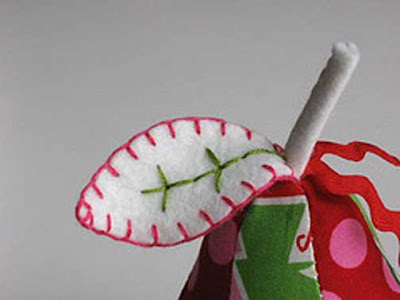 Great idea to turn them into ornaments! check out the pink ones on her blog; yummy! I just found your blog...did some fabric shopping today and realized almost everything I bought was Michael Miller...googled to see if you had a blog...and it's a great one! 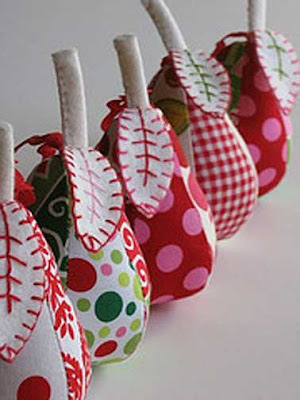 Lots of inspiration here...the pears are absolutely gorgeous! So yummy looking!! Great blog you have!! Olá amiga!Amei seu blog, tem coisas lindas...vou te seguir. Também gostaria de receber sua visita...beijinho, fica com Deus.